Legislators in Virginia recently amended the rules for oil and gas well operations in the state. They introduced changes to the surety bond requirements that applicants should fulfill to be allowed to work wells. Senate Bill 1271 amends §§ 45.1-361.19 and 45.1-361.31 of the Code of Virginia. It increases the range of the bond criteria for blanket bonds that may be used for operating numerous wells. In addition, it introduces extra bonding requirements for drilling in Tidewater Virginia. Previously, operators of oil and gas wells in Virginia could provide a blanket bond for working on more than one well, which had to be between $25,000 and $100,000. The range is now increased from $25,000 to $200,000. For operating individual wells, the bond requirement is $10,000 per well, as well as $2,000 for every acre of disturbed land. 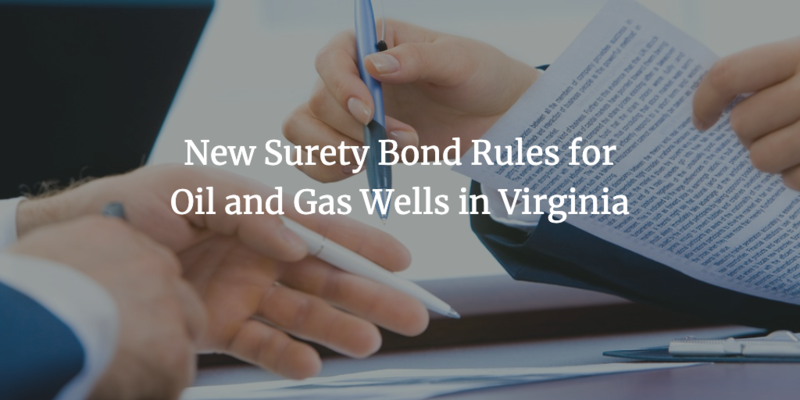 If an applicant wants to drill in Tidewater Virginia, additional surety bond amounts may be required by state authorities. Despite the higher bonding amounts, you still need to pay only a percentage of the requirement to obtain your bond. Your bond premium depends on the bond amount you have to provide, as well as the strength of your personal and business finances. Applicants with stable financial profiles typically have to cover 1% to 5% to obtain the necessary bond. Do you need more information about obtaining a surety bond for drilling oil and gas wells in Virginia? Don’t hesitate to contact us at 877.514.5146.